A putt and approach designed for hyzer putts and windy approaches. Very predictable in windy conditions. The Zone is an overstable putter that is idea for windy days and as a consistent throwing putter. It is great for sidearm approaches and short drives because it won't turn over. 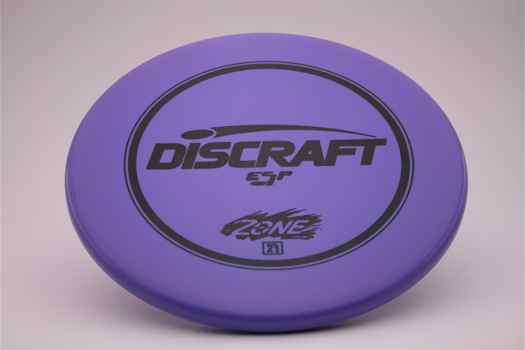 This disc is available in Pro-D @ $8, Jawbreaker @ $12, Z FLX @ $13 and ESP @ $15.